Instantly know the health of your people, projects, and financials with financial reports, utilization reports, and project progress reports. Better plan for your next project based on learnings from past ones. Comprehensive reports allow you to uncover the smallest of project details. We’ll walk you through all the project management and Google integration features that will help you use Mavenlink to its fullest potential. Our user-driven design makes onboarding painless, and we offer additional resources to increase the rate of adoption for your team. Connecting Mavenlink's API with your favorite apps and tools is simple. 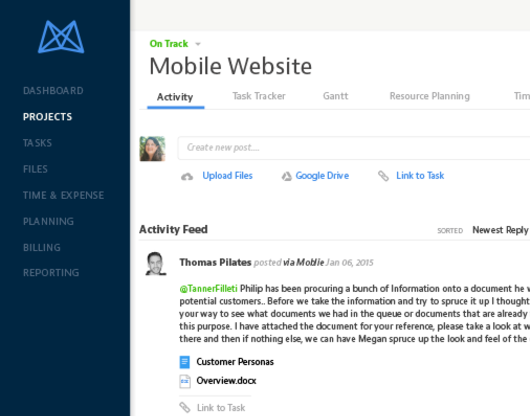 Mavenlink integrates with the leading cloud-based CRM, ERP, and document-collaboration solutions. 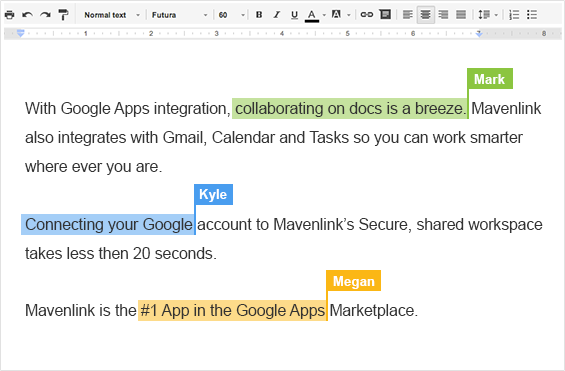 Google Apps, all-in-one place. Try Mavenlink today. Store, organize, and share all files related to your projects in one place. you'll never lose track of an important document again.